34-year-old Southern Californian Dirk Dallas is pondering the joke that started it all. And it’s not even that funny. But it worked. A simple tongue-in-cheek play on the popular hashtag #fromwhereistand twisted to #fromwhereidrone on Instagram, revealed a community of drone enthusiasts Dallas never even knew existed. Now an online community leader and aerial imaging curator, Dallas’s personal account @dirka, has over a quarter of a million followers. His subsequent community account, @fromwhereidrone has over 70,000 followers and its own dedicated website. It seems that in social media, sometimes all you need is a little hashtag. Dallas’s co-opted #fromwhereidrone hashtag was just inserted into the caption space for all his drone photos. But the moment he clicked the hashtag, Dallas was surprised to discover several hundred other drone photographers who were sharing their drone work on Instagram as well. Unbeknownst, they had already adopted #fromwhereidrone to share their own pictures. An online community had sprung up, seemingly from nothing. “I was so inspired by what I what I was seeing, that I thought I had to start a new account,” he says. Rewind. 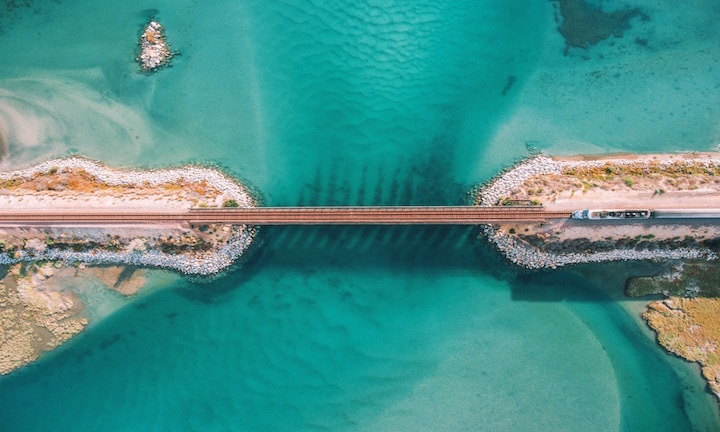 Like most drone photographers, Dallas first ignited his passion for aerial imagery through a fascination with photography. As he practiced, he got good, and receiving positive feedback in his teens, only spurred him on to pursue it further. But flight was an equal obsession — “I’ve always been fascinated by flight… I’m still in awe today that a big long metal tube can fly us anywhere around the world in hours,” he says — and witnessing a video of footage shot by a Phantom only served to solidify a major life calling; his two first loves in a small, intelligent package. And this insatiable thirst for drone knowledge, coupled with a zesty DIY spirit, only facilitated more questions — How do you control the drone? How do you control the camera? How do you install them and get them talking to each other? The era and ubiquity of YouTube drone tutorials had yet to emerge. But instead of lamenting that there was no one or nothing to show him exactly what to do, others started to look to Dallas for tips; this despite the fact that he was still figuring it all out for himself. Visitors to the site are usually pilots who are looking for ways to "up their drone game", Dallas explains. And he gets a lot of feedback and lots of likes and shares whenever he does a tips and tricks post. For example, 8 Tips for Better Drone Photography and 31 Essential Tips For Creating Epic Drone Videos. "From Where I Drone is really just a hobby and labor of love," he concludes. "I wish I could create a new post every single day. But I am finding out that creating great content actually takes a lot of work and with three little girls, I am not willing to compromise in that area!"